We all know a time when we have needed a little extra cash. Multiple bills due on the same day, that one day only sale from your favourite store, excess school fees (just kids in general really)…the list goes on! There are hundreds of these scenarios that each seem to pop-up at the least opportune moment. Touch wood, but what happens if a loved one suddenly falls ill? - Luckily we have the majority of our medical expenses covered by Medicare here in Australia but there will always be a smaller overhead cost that has to be covered by you (think ambulance fees, that sort of thing). The other really common one that affects as at the hip pocket are our cars. We love to drive in Australia (no wonder given how big this country actually is..) but cars are one of the most common and overlooked expenses we have: breakdowns, servicing, registration, new tyres, insurance.. the list goes on! So what happens if something comes up and your funds are a little tight until your next payday? Unless you wanted to eat nothing but 2-minute noodles for the rest of the month, fortunately, there are some very reasonable and easy options that can tie you over until your pay next clears in your account. With no more technology needed than a mobile phone, it's now as easy as filling in a simple form online to get instant cash deposited directly into your bank account. Applications can be made from any computer, phone or tablet and the whole process, including the approval process, is finished in minutes. 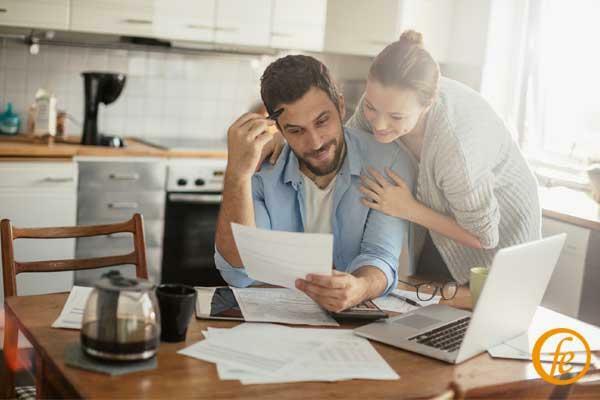 There are a number of lenders like Ferratum who offer types of cash loan (also known as online loans or short term loans) that are an easy and really viable way to cover these kinds of unexpected costs when they pop up. Don't let unnecessary stress get the better of you - instead of thinking you just need a quick cash advance on your paycheque, simply apply with Ferratum online directly for a cash loan and you could have the cash you need on it's way to your bank account in no time at all. Paying your cash loan back is easy, as your repayments are set up to fit in with your pay cycle, ensuring you can always keep on top of your expenses and that nothing gets out of hand. In fact, we work very closely with our customers to ensure that they are comfortable with the repayments on their cash loans. We are one of Australia's more trusted lenders and help hundreds of people just like you, get access to instant cash when they need it each week. Our fully automated application process takes minutes to complete and is assessed based on the information you provide us – there are no credit checks when you apply for a loan with Ferratum! No hidden fees. Easy repayments. Quick cash. Get cash quick! Apply with Ferratum when you need a little help financially. Have a Question about a Cash Loan? If you have any queries about Ferratum and our products, please do not hesitate to contact our Customer Service Team anytime. *Subject to the processing times of your nominated financial institution. Approved applications made outside of business hours will be paid next business day.